You are looking for a cycling holiday in France or Spain, but so far all the trips you've found have a problem... Either the dates don't suit, the itinerary just isn't quite right or you're looking for something more from your trip. 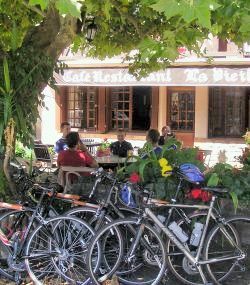 At VéloLoco we specialise in preparing your bespoke bike trip. <bêspõ'ke>: tailor, etc., (seller of) clothes made to order, opp. ready-made clothes etc. .......the three main genres of custom bike tour (self-contained, self-guided and fully supported) are introduced below. Sharing your bespoke cycling tour is a great way to meet travellers with similar interests and may also reduce the cost of your trip.